The tiny tropical paradise from the south of bustling city Mumbai, Goa shore excursions show up as a center of endless parties for those who want to escape the usual-traveling path. Goa is undoubtedly a city of sand beaches. The beaches lie around the whole area, especially the Anjuna party beaches with girls, meat, and beers. Don’t need to spend your holiday in the expensive resorts, you can also taste the bohemian sights of Goa shore excursions through coconut trees lined up, handicraft shops, and great seafood which you can see in any beach along the area. Explore the night flea markets to collect some gifts for family and friends such as jewelry, saris, snacks, bags and more. Strangely, the cuisine here is dramatically influenced by the Portuguese, popular with special rice cakes named sannas, dish mixing of coconut and coriander named tisreo sukem, India pancake, and Kerala curry. Enjoy a sunset meal with kebabs while the sky is turning dark orange. Besides, Goa is a religious site with a series of ancient monuments, Buddhism temples, Portuguese synagogues, and Catholic Basilicas. 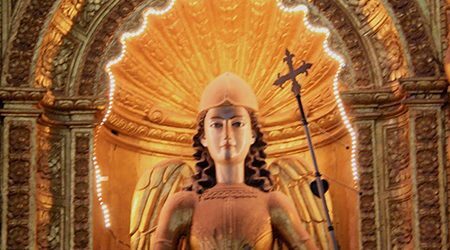 Take a closer look and discover the majestic sight and learn about the history and culture of religions. India has a tropical climate. So, the best time we recommend to visit Goa shore excursions is from October to January when the temperature is not too hot, while the other time is the monsoon season with heavy rain. The India shore excursions can not complete without a Goa shore excursion city. 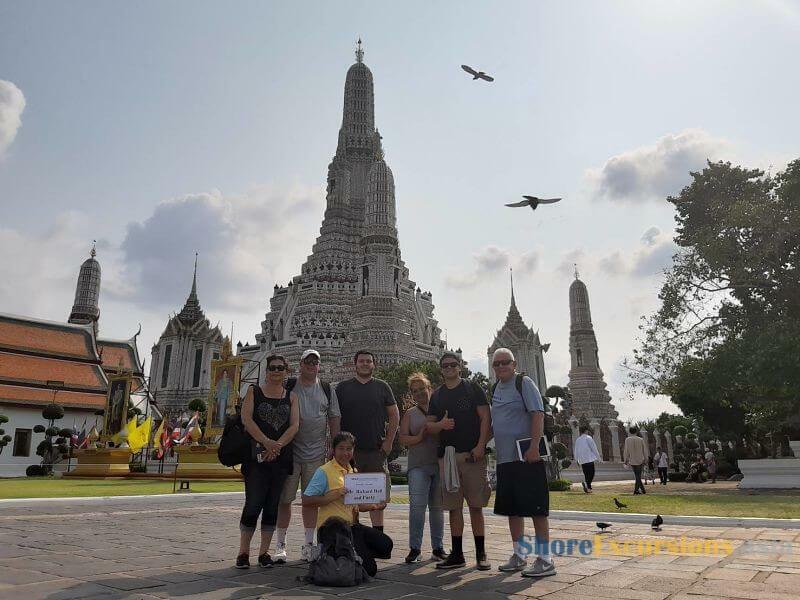 Please contact us for any information you may need to have wonderful shore excursions. Direct to the South of a core India financial center – Mumbai, a tiny tropical paradise, Goa, slowly appears, Goa shore excursions lead visitors in an extremely special feeling of an innovated type of traveling in a foxy city. 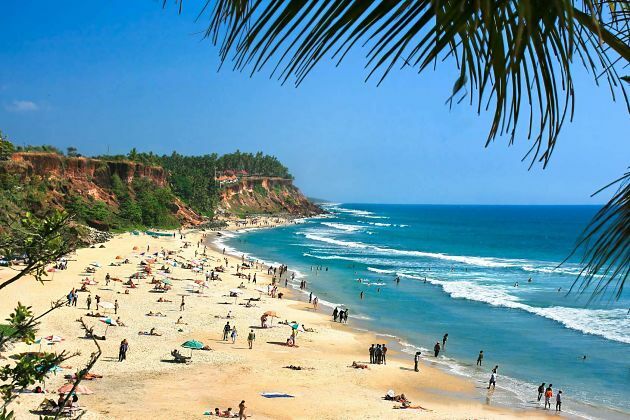 Goa is famous for seductive beaches lying around the whole city. 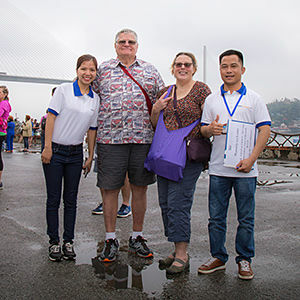 Coming here, tourists have a chance to immerse into exciting feelings when visiting some tourist destination as its local markets, Buddhism temples, and churches of Old Goa. 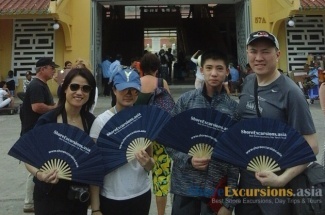 Asia Shore Excursions would like to suggest cruisers a list of things to do and see during Goa Shore Excursions. 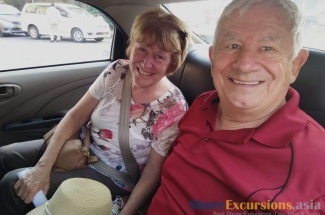 At the Goa Port, the guide and driver will pick you up and transfer you on a scenic drive to Margao Spice Market, a bustling market can fit every need. 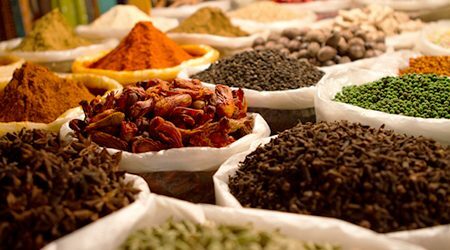 The wholesale shop is grown as mushroom with a carefully arranged kind of products such as gifts, fruits, clothes, and particularly Goa traditional spice. 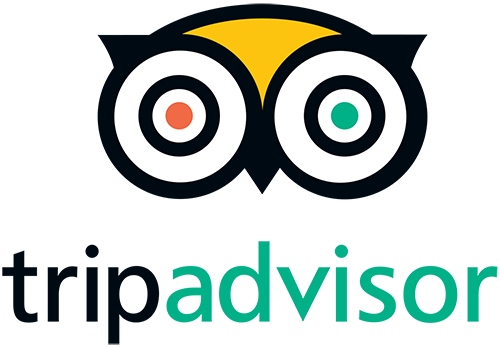 Your trip must be more special if you follow a master chef who gives you some guides for tips when taking around the bazaar. In some special holidays like Christmas, the whole market will be colorfully decorated, visitors enjoy a unique atmosphere here, collect some sort of souvenirs like jewels or saris. 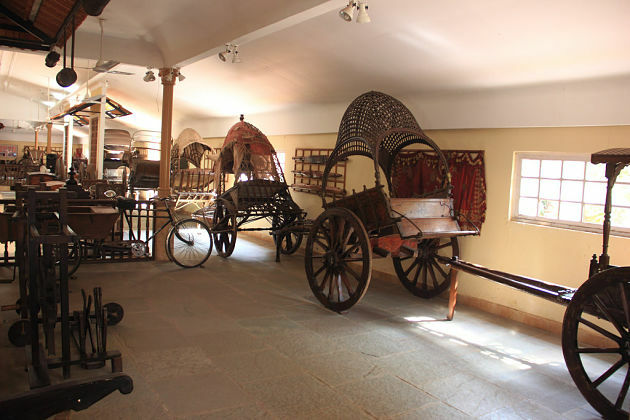 Next to Margao Spice Market, it takes about 10 minutes of your Goa shore excursions to go to Goa Chitra Museum – the first unique ethnographic museum showing over 4000 original ancient farming tools and modern technologies protected inside the antique wooden and stone doors. On this trip, nature’s utility is attractiveness that noticing visitors. Your Goa shore excursions are not fulfilled if missing Tanshikar Organic Farm of these deeply knowledgeable farmers. There are many kinds of different trees grown as papaya, cashew, or vanilla. It’s sure that you will immerse in the peaceful atmosphere and having a chance to taste special drinks and see colorful butterflies simultaneously. 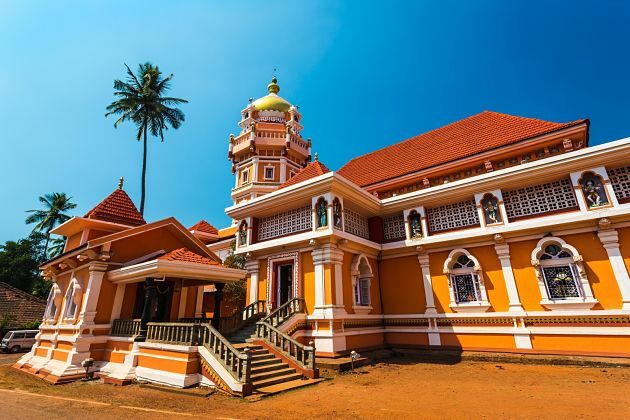 Goa has many long-time temples, but in this shore excursion, we would like to recommend tourists the first top temple named Shanta Durga Temple. 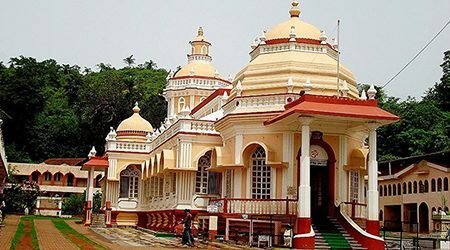 Although Shanta Durga is a Hindu temple, instead of no clues of Hindu architecture found in this temple, tourists can easily find out the similarity in Shanta Durga’s structure with a typical pagoda. This temple appears with red tiled roofs, lighted up with gold and black inside, all rolled in one. 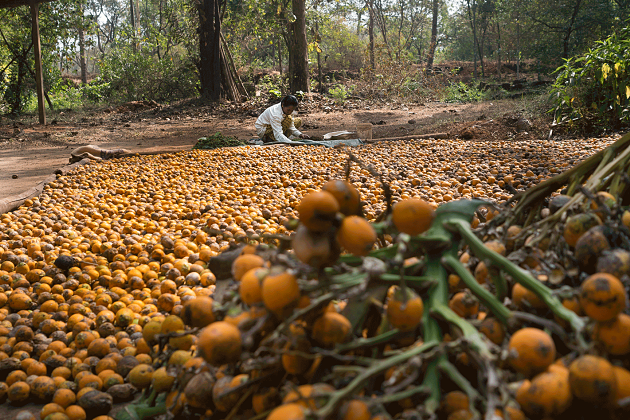 Your Goa shore excursions itinerary should add Spice plantation on. Spices are the of-course cause of historical mankind development and discovery in geography. 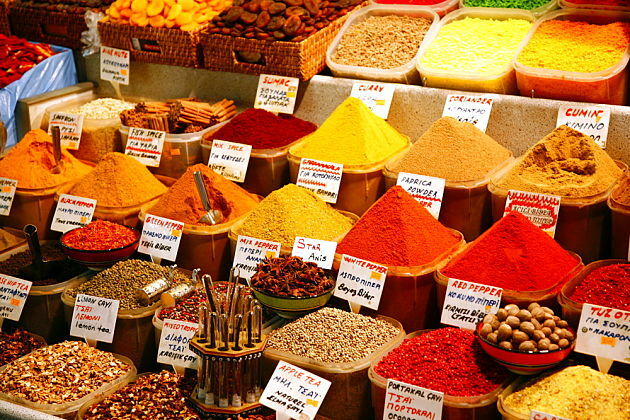 India is famous for spices as the world leader in producing and exporting spices. It is not strange when you walking along the thick tropical forest on a sunny day and be astonished by many spices like chilies, vanilla, black pepper cardamom, and many tropical fruits and trees. Besides, you can save your Goa memories by taking a lot of unique pictures during the trip with local and scene here. Another place to see in Goa shore excursions for travelers is Arambol beach – one of the best beaches in Goa located in North Goa. Arambol, a perfect place in Goa, has appreciated as a pristine coastline. Coming here, you certainly find out an ideal beach and distinct with every beach you have ever visited, that is why Arambol beach is always on top rankings many years. There have many mind-blowing activities for trippers to watch as dolphin sighting, paragliding, enjoying the happy waves of the sea while strolling along the shoreline underline of coconut trees or sitting on the sandy beach to taste the savory seafood. There is a feature I impress most in Arambol, which is the slow pace of life, nobody here is in hurry. Local people often sit around and chill with a bottle of beer. Do you know that Arambol is one of the notorious party places in Goa? 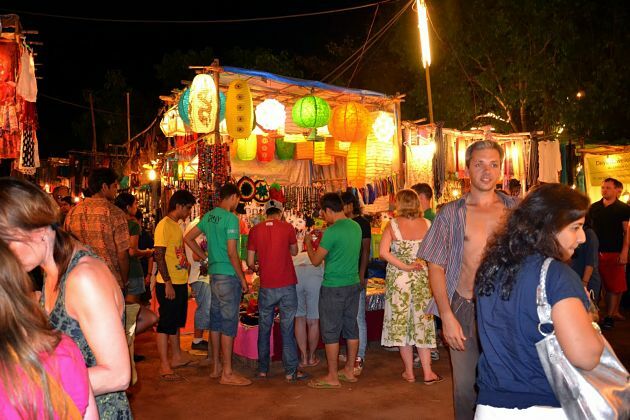 Bustling nightlife in Arambol is a great mention for the incredible shore trip. In Arambol, there appear a lot of restaurant and clubs at midnight for you to join.